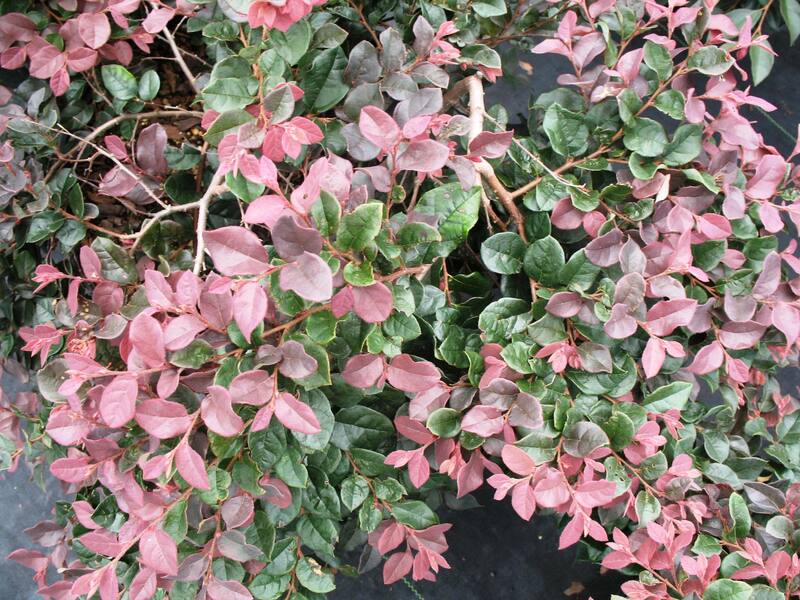 Comments: This selection has shiny ruby red young leaves on low growing, mounding plants. Pink flowers are present much of the year, but heaviest in spring. Said to be the smallest of the loropetalum selections.